28 Jan 2016 | What's new? It consists of a mobile application and website to facilitate the adaptation of content to all access devices. This initiative was born with the aim of facilitating consultation and resolution of doubts in real time of farmers, ranchers and technical specialists. 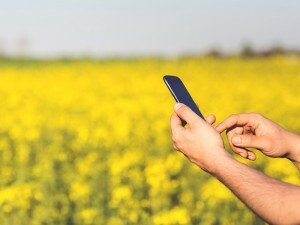 The Ministry of Agriculture, Food and Environment, through the Spanish Agricultural Guarantee Fund (FEGA) and in collaboration with the Communication Platform CHIL, has launched InfoPAC, the first digital service information about the Common Agricultural Policy (CAP). Home: Main screen with the top stories about the ambit of CAP, courses, news or announcements. Questions and doubts: Forum of questions and answers about the CAP, answered in real time by experts from FEGA. Consultation on the calculation of CAP aid. Documentation: Historical documents relating to the CAP of general use. Any document can be downloaded by the user within your device or on your private cloud. The APP is complemented by a website, that facilitates consultation with comfort via PC.